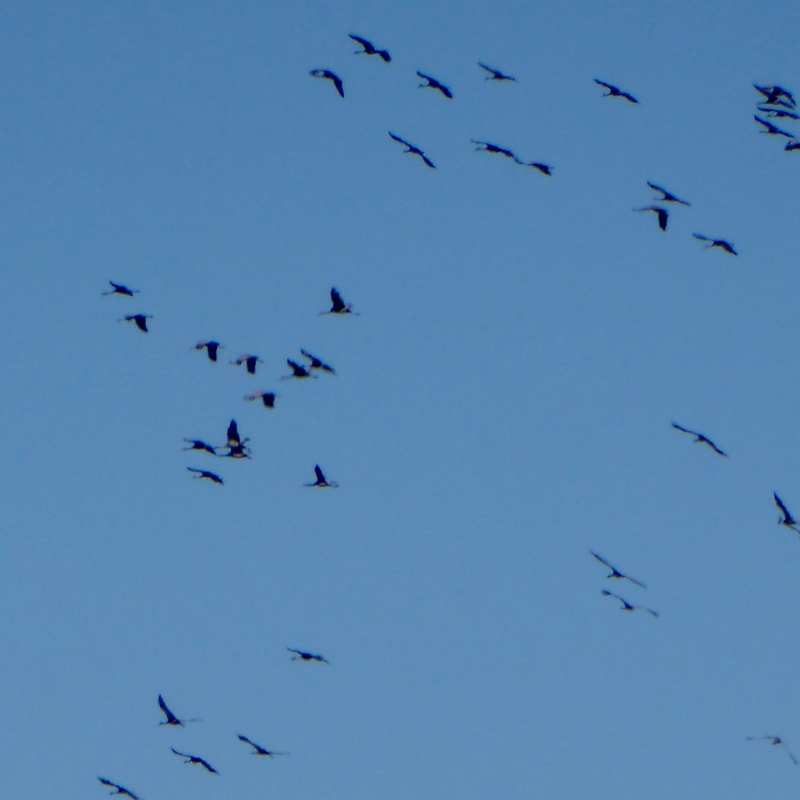 600,000 Sandhill Cranes migrate through Kearney, Nebraska every year. 600,000?!? We had to see this. 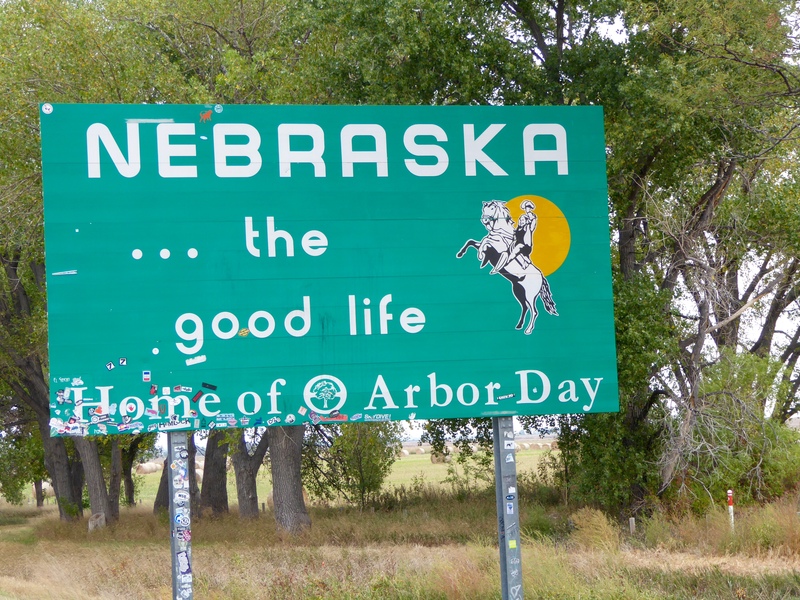 So, we drove to Nebraska Saturday and this is what we learned. The majority of the Sandhill Cranes are there the third weekend of March, so many had already left when we arrived. And the man at Fort Kearney said almost all the cranes will be gone by this weekend. If we go again, it will be in mid March. 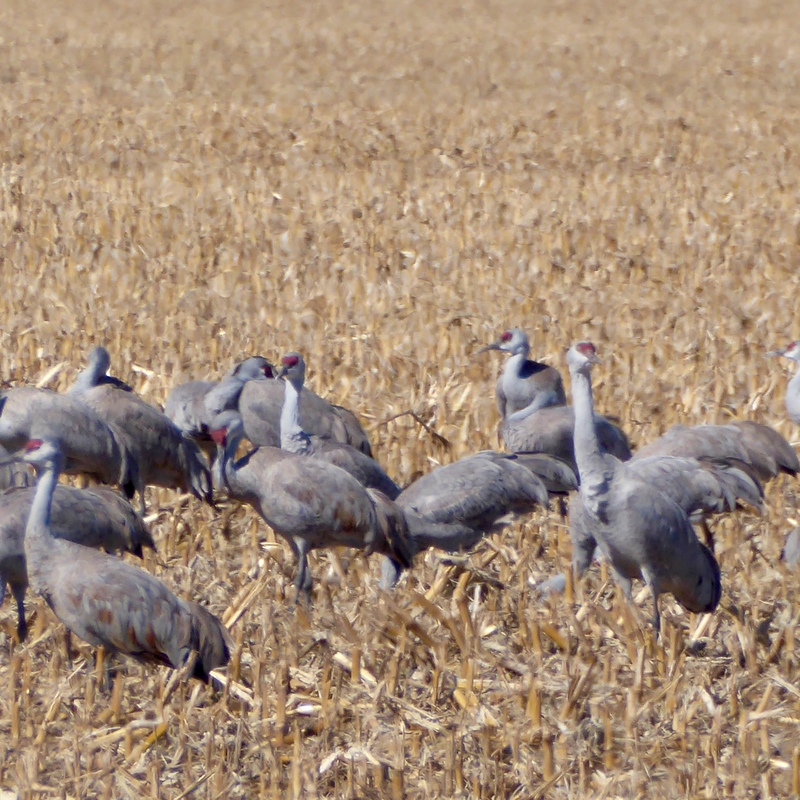 The cranes migrate to Kearney to eat. They normally weigh 8-12 pounds. 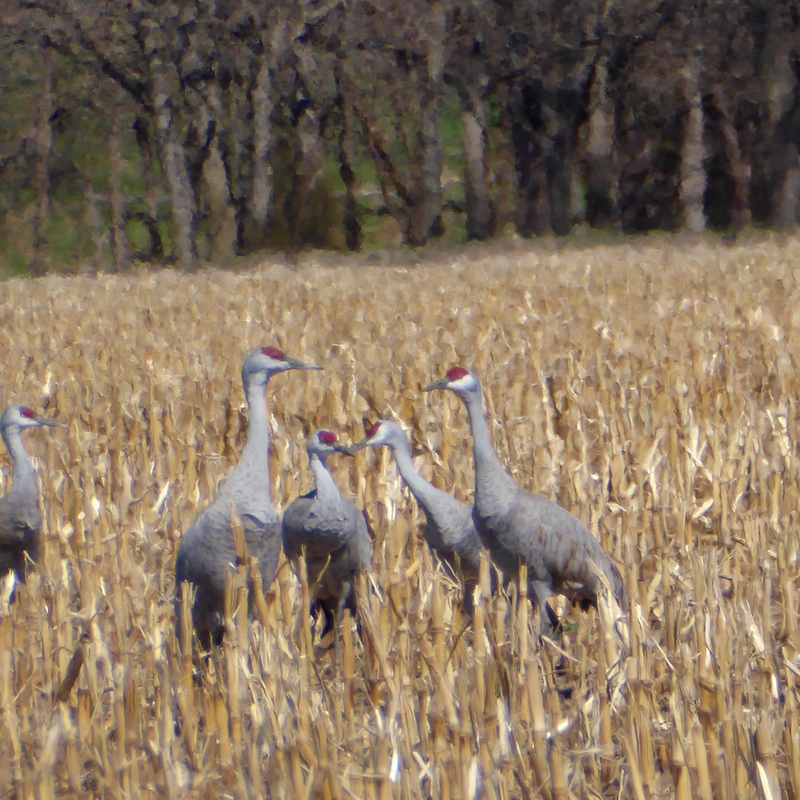 The Sandhill cranes try to gain at least 1 1/2 pounds in Kearney. 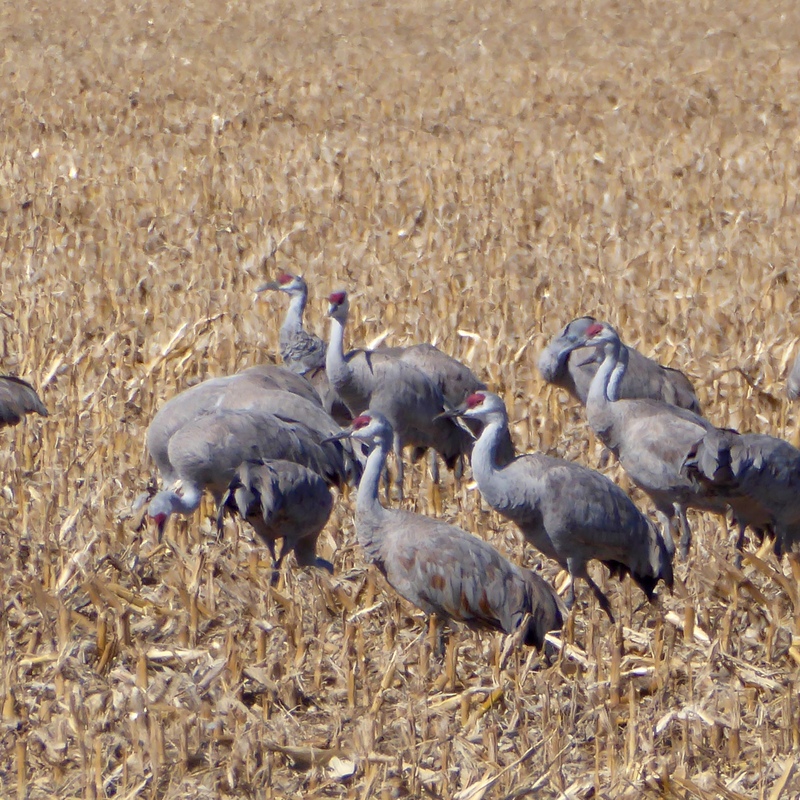 So we saw groups of cranes in last years corn fields. 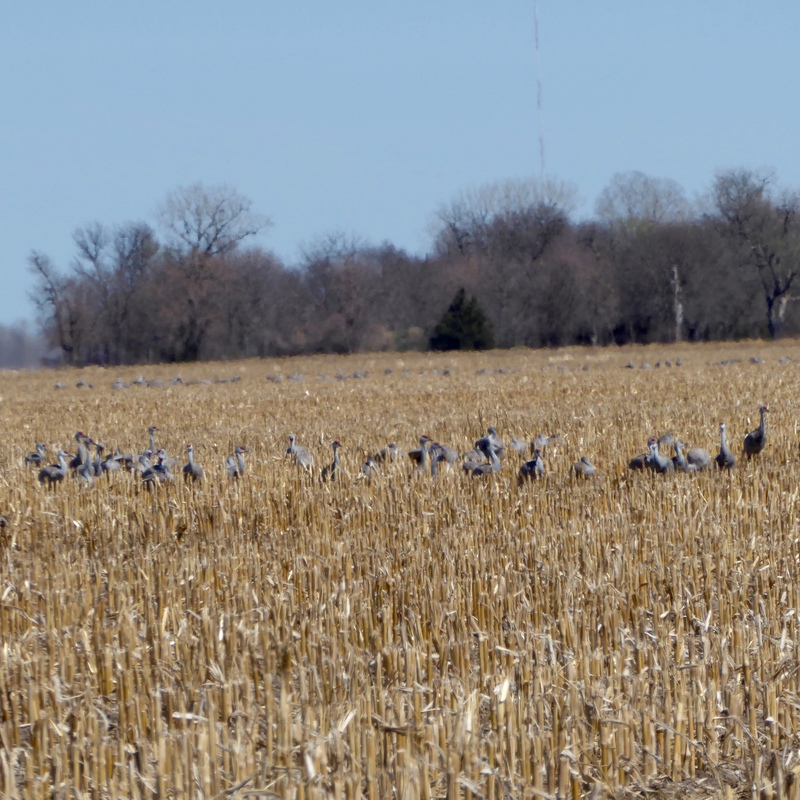 The cranes stay along the Platte River between Kearney and Grand Island and feast in the corn fields a few miles north and south of the river. They are afraid, or at least wary of humans, so they stay in the middle of the fields, making photos difficult. This is a small group, showing the pink on the heads. The man at Fort Kearney said the cranes are hunted in parts of south Texas and northern Mexico. There is a hunting season to control the population. If they over populate, they will starve either here or in the arctic where they spend the summer. While a group is eating in the corn fields, there are a few looking for any threat. Our stopped car could be considered a threat to them. We were told to take photos from the car, not to get out of the car as that scares them. These cranes are about 3 feet tall, but look smaller due to the distance. We just thought they were so cute, with the pink on their heads. They spend the day eating in corn fields and as the sun gets lower, they head to the Platte River where they spend the night in 2-4 inches of water. These cranes were flying either to another field or to the river. They make a much softer noise than geese and are a delight to hear as they fly over. The Sandhill cranes come through here in March every year. This is one of the few places with so many of them at one time. 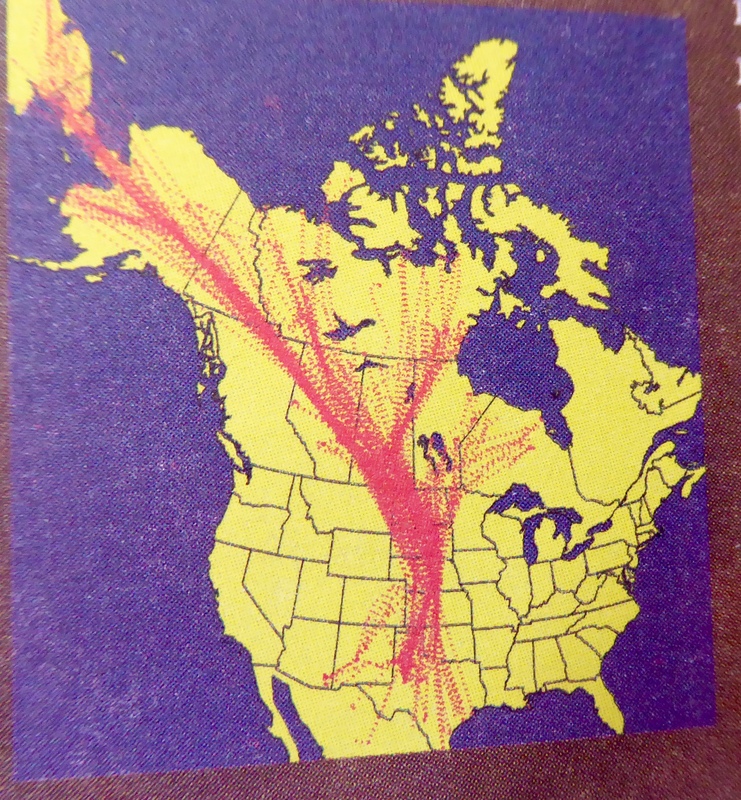 This is their general migration path for the trip north. They mate and spend the summer in Alaska and Siberia. 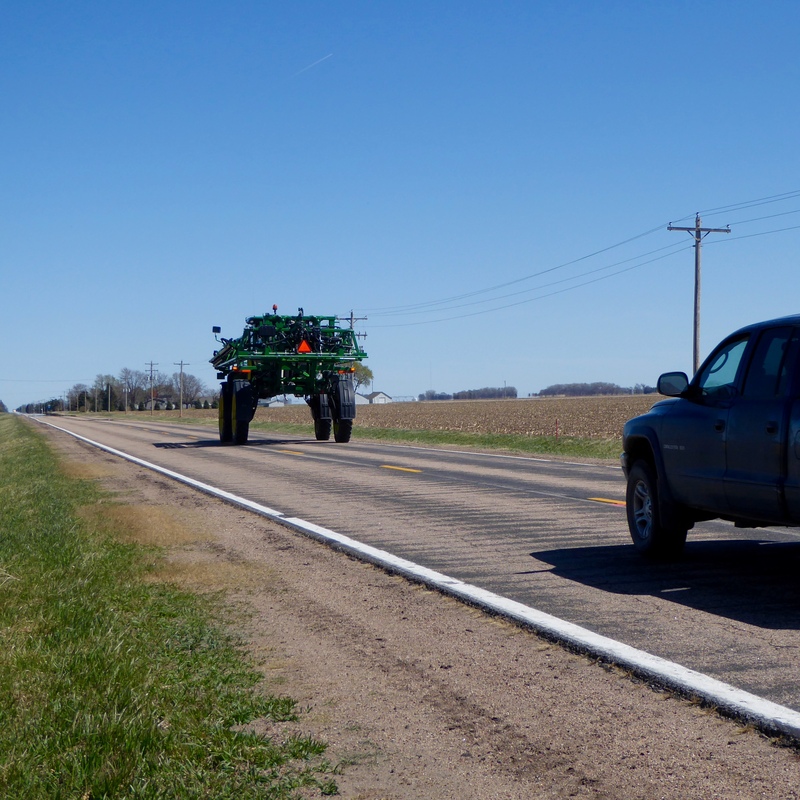 Since we were in the farm land of Nebraska, we saw much farm equipment, but this tall vehicle driving on the road fascinated us. 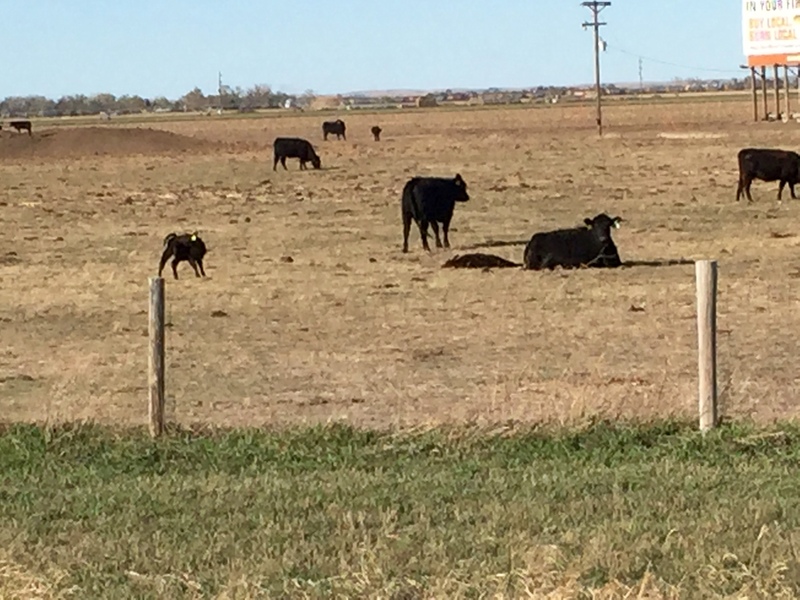 In the spring many young animals are born, so here are cows with small calves. 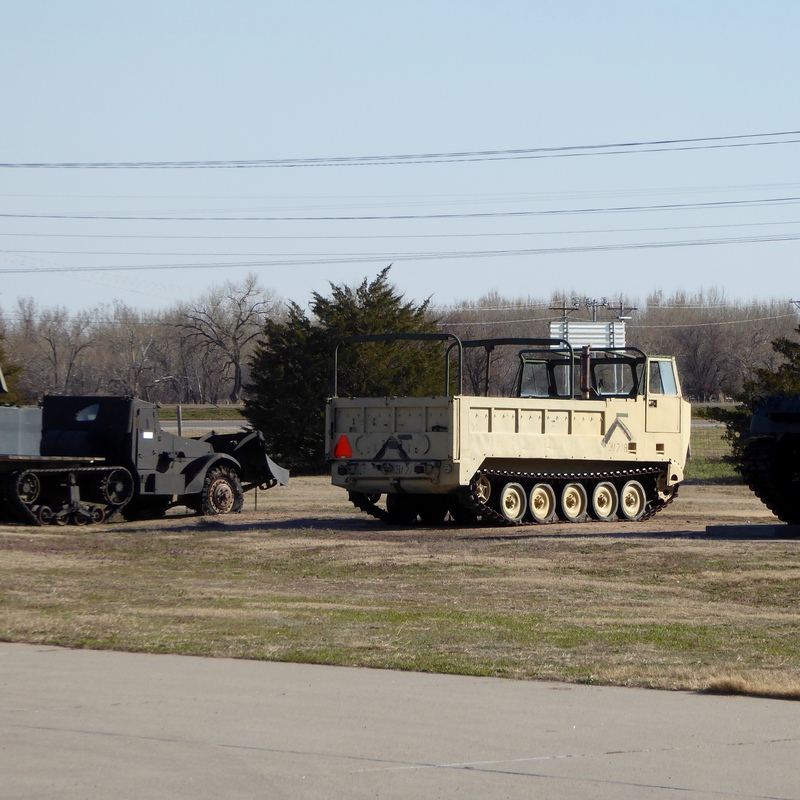 In Lexington, Nebraska, we stopped at Heartland Museum of Military Vehicles. Unfortunately it was closed. Over the fence we saw this tank. This vehicle also caught our attention. At the westbound rest area at mile 270, we were intrigued by this sculpture. 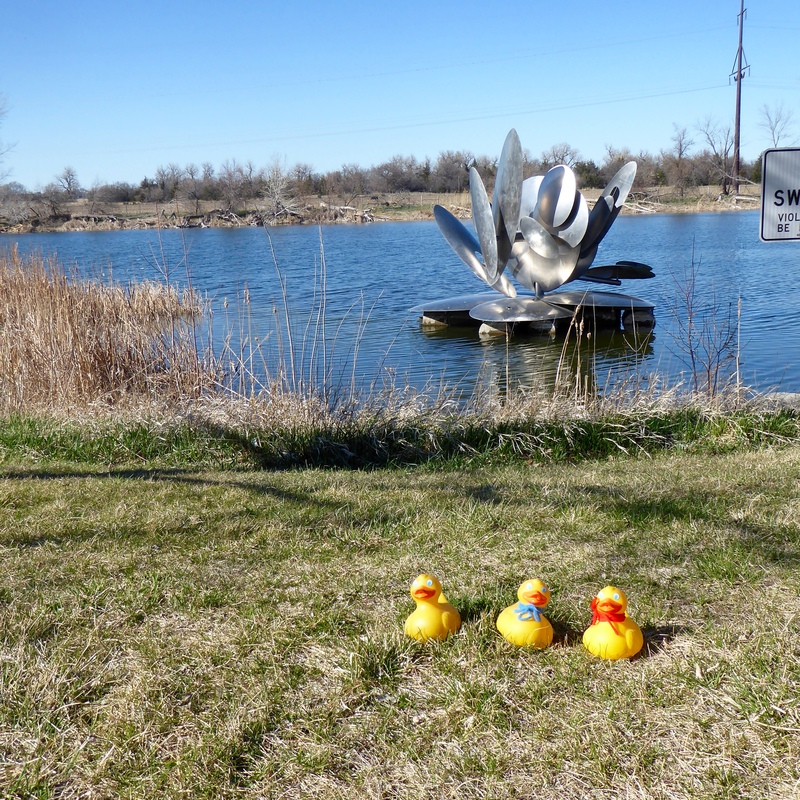 Our last stop was North Platte. There were several things we wanted to see, but the booklet said everything we wanted either closed at 5:00 p.m. on Saturday, or was still closed for the winter. 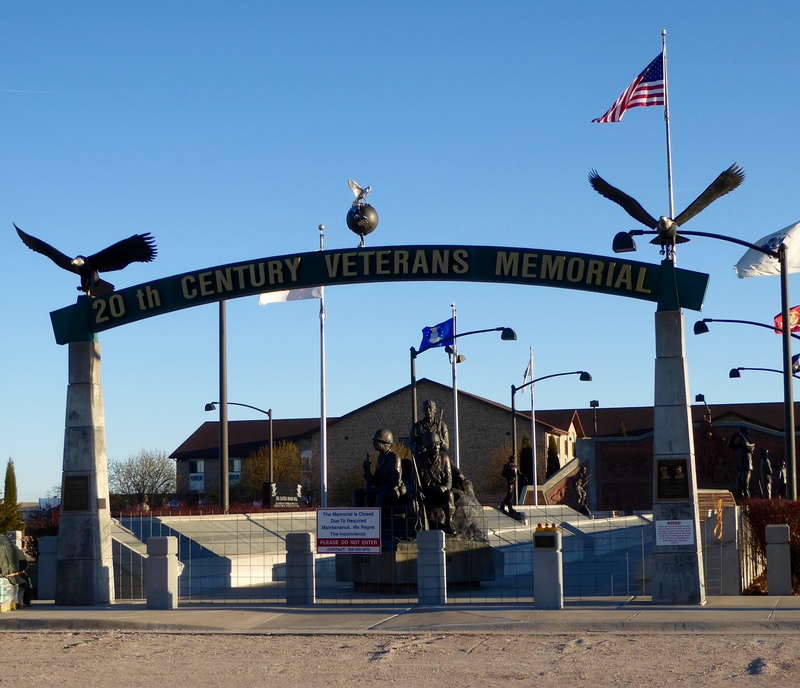 However the Veteran Memorial was always open. So we went, and guess what? It was closed for required repairs. But, we could still see some sculptures. We like driving across Nebraska. 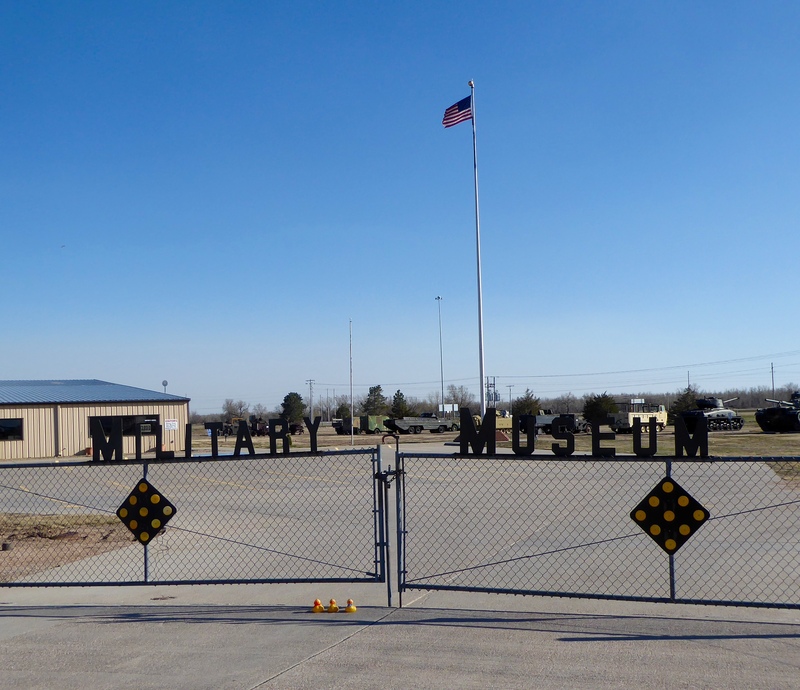 They have many attractions and most are clearly marked. Even if they are closed, as most were today, you can still see some of the things. We drive through Nebraska frequently, so we will stop again. If you drive across Nebraska, stop often to see things. There are so many things relating to the pioneer days, you never need to be bored or wonder what you should see. 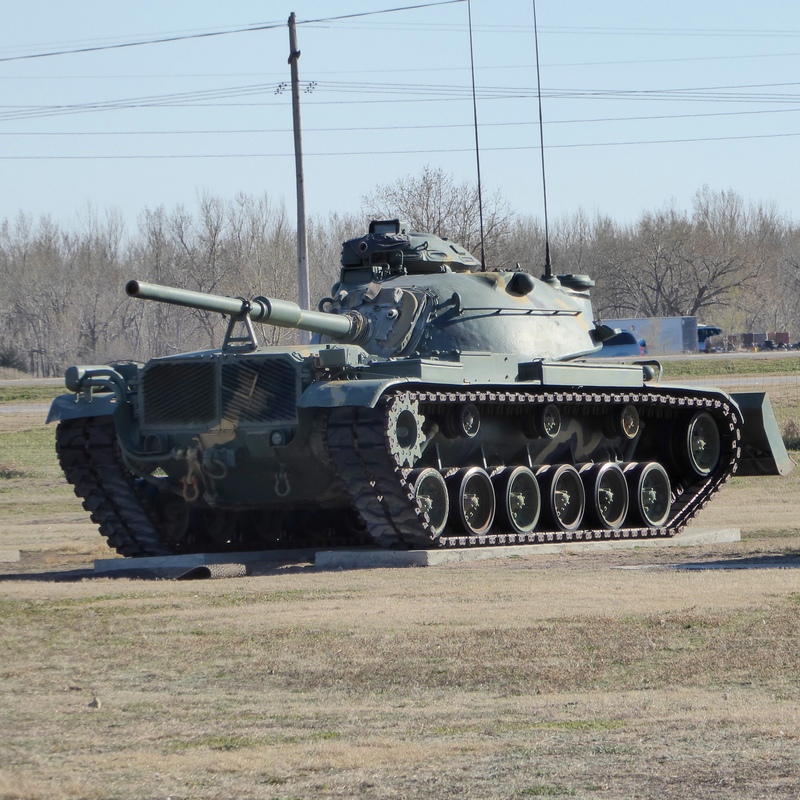 We always find something interesting driving through Nebraska and we think you will too.